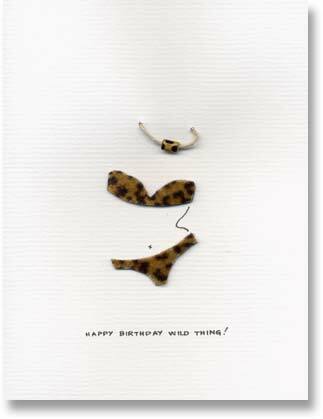 why: tumbalina cards are irrepressible, irresistible, hand-crafted and heart-felt! we were (literally!) "the wild card". We are so proud! and happy to share our victory with all the "tumbalina" elves, reps, retailers and lovely, loyal customers who eschew mass market mailings and opt for tumbalina's hand-made, heart-felt greetings. tumbalina cards are available at Papyrus, NY, Bibelot, MN, as well as in 200 fine stationers and boutiques nationwide. For information, log onto tumbalina.com. * The Greeting Card Association (GCA) is the official nationwide trade organization that represents greeting card and stationery publishers. * The Louie awards, named after German lithographer Louis Prang (credited for launching the US greeting card industry in the 1870's) draws thousands of entries from the over 181 companies that market cards in the US. Judges, including marketing gurus, specialty retailers and postal reps, review 53 categories and rate cards on a scale of 1-10 for criteria such as Imagination, Impact, Artistry, Harmony, Sendability and Value. "Finalists", according to GCA President John Beeder, "clearly reflect the talent, creativity and ingenuity that encompass our industry's distinct products".